Written by Colleen Sedgwick on May 14, 2014 . Posted in Clients. Any of us who have been in the pet sitting industry knows that this happens often. Sometimes, there is nothing you can do about it, but it’s definitely worth examining. #1. Simply put, he or she may not be your ideal dog walking or pet sitting client. Be honest with yourself, sometimes your gut tells you that this person is going to be difficult, but you ignore your inner voice and decide to sign them up anyhow because you need the money. We’ve all done it and we all have regretted it. #2. They’re not convinced of the VALUE that you’re dog walking business is offering. As compared to our competition, my pet sitting service Pet Nanny, offers immense VALUE to our clients. We’ve gone above and beyond to make our service stand out. We truly care about our clients and their pets and will give them nothing but the very best that pet care has to offer. Sometimes a prospect may not see the value that you are trying to portray. They think, “pet sitting services are a dime a dozen. It doesn’t matter who I hire, I’ll still get the same result.” In this case you may be speaking too much about processes and not the RESULTS that they receive from using your service… complete and total peace of mind. Attempt to shift some of the things that you are saying in your get acquainted call to focus on the RESULTS that they will receive from using your awesome service. #3. They’re concerned about the money. 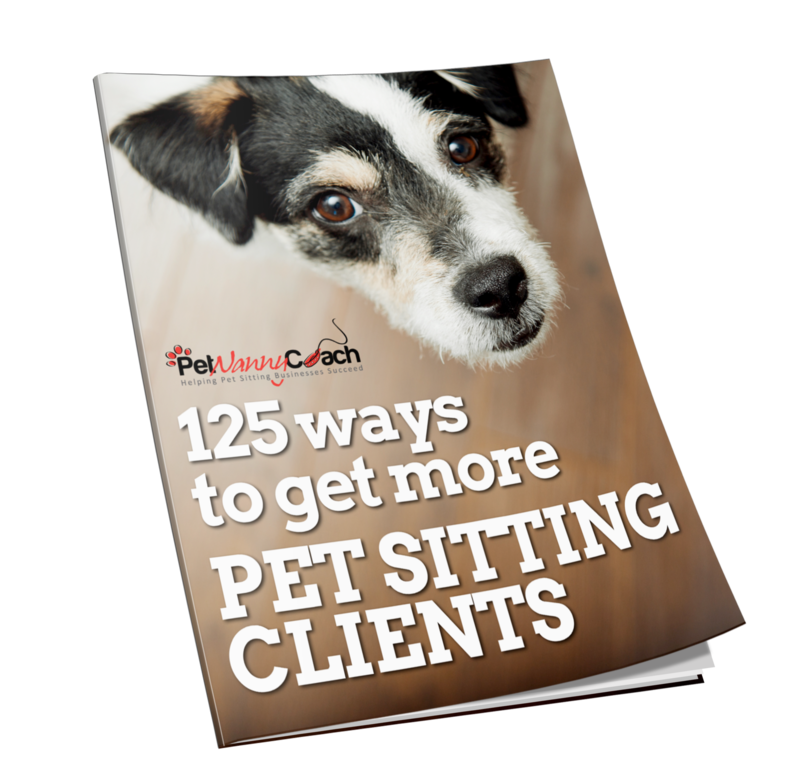 We all know that there are a million pet sitting businesses out there and we also know that there are many that greatly undercut the prices of the more professional services to try and gain clients. Again, the money issue is usually based on the fact that your prospect does not see the VALUE in what you are offering. Examine how you are presenting this to your prospects. Just remember, there are some people out there that are bargain shoppers no matter what and guess what… they are NOT your ideal client. There are also some people that may not be able to afford your service. Pet ownership is can be a hefty expense and if they can’t afford your top-notch service than wish them the best of luck and perhaps refer a less expensive service to them. #4. People want it to be easy. Make it as easy as you possibly can for pet sitting or dog walking clients to sign-up and use your services. If there is too much hoopla involved, they may move on due to frustration. So, examine your processes and streamline as much as you possibly can to make it as simple and easy as possible. #5. He or she is the last minute customer that suddenly realizes they have weekend plans but nobody to watch their pets. I have devoted an entire blog article to this issue. These people call every service in town trying to find someone to help. You then jump through hoops to help them out. Then, when you call them back they say, “awww… thanks, but my Mom is going to watch them.” DO NOT waste your time with these people. I don’t take any reservations for new clients unless I have 3 solid days to process them. 9 times out of 10 these last minute callers will not be your “ideal client” and if they do end up using you that weekend, you most likely will not hear from them again. Trust me on this one. I’ve made this mistake countless times. Your Homework Assignment: Spend some time and examine feedback from clients that have backed out. Make a list. What are they saying? Is there anything that can be changed? If it’s a value issue than it’s time to change the way you are speaking to prospects and perhaps changes need to be made in your marketing materials to convey the VALUE you offer and the RESULTS that your clients receive.